Discussion in 'Lakers Discussion' started by therealdeal, Jun 20, 2016. I am optimistic that if I were to choose to look in the archives, I can find that Kobe had some down games as well. I am also optimistic that they will be anomalies. Peasants always cover for kings. It’s the way it is, and I didn’t make the rules. But we all know that Kobe’s defense was terrible in his final years, and his teammates had to cover for him every game. And they were glad to. Why is this any different? LeBron hasn't popped an achilles yet. Get a clue. And your terminology and cliche references to James just make you sound like you're media brainwashed. We talk basketball for real here and not about Kings and peasants. CarolinaLakerFan and Cookie like this. Lebron expects his team to carry his throne. Kobe puts the team on his back and charges, if you're not on, you're getting left behind. Weezy, CarolinaLakerFan, Cookie and 3 others like this. Feels like my worst fears are coming to fruition. I only expect his attitude to get worse. And his play to continue to decline. I didn’t want to be right. CarolinaLakerFan and ZenMaster like this. I am trying to treat you like a very Bron-centric but honest fan. Posts like this one make me question if you're actually serious. Than again, considering their amount you may actually have this fascinating perspective, which is why I'll try to respond seriously. For one - Kobe didn't get paid USD 35-40 per. He got 20 and was heavily criticized for taking that money at this stage of his career on this very site. Basically the only pro argument used here was that it helps convince potential newcomers the Lakers take care of their (accomplished) stars. Bron just started his stint with LA and is coasting already, as some us have feared he would, even when we are getting blown out the building in a humiliating manner. Don't recall Kobe doing that but he was also criticized heavily by us longtime Lakers fans for his overall bad defense near the end of his career. You seem not to be able to fault Bron for anything and consequently bash all our other players, some of which most of us have grown to like quite a lot and see as the future of this franchise. How do you seriously expect this board to share your point of view on this? CarolinaLakerFan, Kou, Weezy and 5 others like this. Miami started really slow with 3 HOF’ers while they figured it all out. Look it up, it was BAD! Our guys will figure it out, but we’re impatient and sick of losing. I may quit posting for awhile til things turn around. I’m not really a told you so kind of guy, but I’d rather post more when people can clearly see Lebron’s value instead of his shortcomings. Whatever you interpret those to be. I’m having a hard time being patient too, and I’m most likely unfairly shifting too much blame for the slow start to our young players. I just have a lot more confidence in Lebron as ideally anyone should with a future HOF’er. Last night was not his best night, but it won’t define his season. Last nights game also won’t define OUR season. I bet we’re clicking by January, but it wouldn’t surprise me to hover around .500 til then. TIME, Barnstable and SamsonMiodek like this. 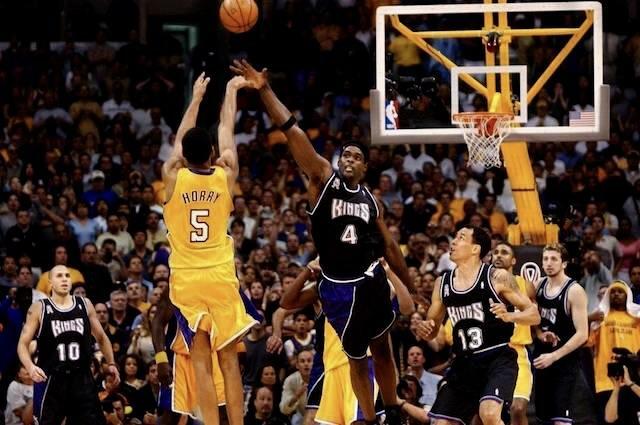 Us Lakers fans are a demanding bunch, but we can also appreciate greatness, we've seen a lot of it in the purple and gold. I also expect this team to click much better come January and actually make some noise in the Play-offs. Let's hope we can soon start enjoying this team again. Barnstable and Anon Inam like this. Peasants always cover for kings. Barnstable, Anon Inam, alam1108 and 2 others like this. I posted this in NBA discussion, but it feels like an optimistic point for us as well. Things are beginning to slowly “right” themselves in the West, these early standings are starting to correct for the most part imo. Thunder are now 5-4 after winning 5 in a row, Rockets I believe have won 3 in a row and are 4-5. Pelicans have dropped 6 in a row, now 4-6 with us, as are the Jazz, and the Wolves are 4-7. I don’t expect the Kings to stay in the playoff picture, or Memphis, not sure about the Clippers, but it’s a huge plus for our playoff chances that so many other likely playoff teams have started so poorly, West is wide open early on aside from of course the Warriors. Barnstable, alam1108, Cookie and 2 others like this. I know our strength of schedule was like 9th or something like that, but it was still pretty tough, especially for a team trying to figure out their identity. @Portland, Houston, San Antonio (twice), Minnesota, Toronto on a back to back. And we've had some big wins too against a hot Nuggets team and @Portland. The play is a little discouraging right now, especially the defense, and we definitely need Chandler here to stop us from playing small ball, but we have talent. It's all about finding the right lineups. Barnstable and lakerjones like this. tada and Barnstable like this. @Kings is going to be really interesting given how hot they've started out. Hawks should be a win. Blazers is going to be really hard to win. @Magic should be a win. @Heat could be a tough game. @Cavs needs to be a blowout win. Utah will be really tough. Magic again needs to be another win. Nuggets again I'm hoping we hand them another loss, but that'll be tough. I'd expect with 5-4 over that stretch honestly with losses to the Blazers, Utah, Nuggets, and a slip up somewhere. I'd be ecstatic to get to 6-3 or better with the only losses coming against the Blazers, Utah, and Nuggets. Of course I think we can beat the Blazers and Nuggets since we've already done it once. OmarE, Cookie and LTLakerFan like this. We should be just above .500 after all that. But I really think we are improving. Slowly, but surely. lakerjones, Cookie, LTLakerFan and 1 other person like this. Yes, I'm hoping to at least be at .500 and looking a lot more solid by game 20 or so. It'll take better than that to get into the playoffs but Lebron teams are notorious slow starters and I'm optimistic we'll start stringing wins together at a higher rate as we go forward. JohnnyComeLately2k6 and LTLakerFan like this. abeer3, Cookie, JohnnyComeLately2k6 and 3 others like this. Yep! And I've said a few times that award is not over with the end of last season. Don't look back Kuz ..... there's someone gaining on you. Cookie, JohnnyComeLately2k6 and lakerjones like this. therealdeal, abeer3, Cookie and 3 others like this. Hopefully black Bart doesn't light us up from 3.